Over the past two weeks, headlines have focussed on declining employment between 2011-12 and 2016-17; loss of jobs under the National Democratic Alliance government, particularly post-demonetisation; and the government’s refusal to release a report using the Periodic Labour Force Survey (PLFS) documenting this decline, leading to resignations of two members of the National Statistical Commission. In a pre-election, politically charged environment, it makes for eye-catching headlines. Let us step back from this episode and recall similar controversies over official data in the past. Past experiences tell us five things. First, suppression of results seems to be a problem common to all political parties. Census 2011 data on religious distribution of the population was not released until 2015. It is widely believed that these data were ready before the 2014 election, but the United Progressive Alliance government was worried about inciting passions around differential population growth between Hindus and Muslims and chose not to release the tables. Similarly, the UNICEF conducted the Rapid Survey on Children (RSOC) 2013-14 on behalf of the Ministry of Women and Child Development but the report was held up by the new government, allegedly due to the fear that it showed Gujarat in poor light. Sometimes these concerns lead to lack of investment in data collection itself, as is the case with the National Sample Survey, or the NSS’s Employment-Unemployment surveys (not conducted since 2011-12), forcing public policy to rely on non-comparable statistics from other sources such as the data from the Employees’ Provident Fund Organisation (EPFO). These episodes are likely to recur, and hence, we need a more comprehensive strategy for dealing with them. Second, the fear of having statistical reports misquoted is legitimate. We live in a world where appetite for news is incessant and the news cycle is very short. Statistics that don’t always lend themselves to rapid unpacking into sound bites and headlines are easily misinterpreted. When Census 2001 results on religion were released, in September 2004, a newspaper led with a story that although the Hindu growth rate between 1981-1991 and 1991-2001 had declined from 25.1% to 20.3%, that for Muslims had gone up from 34.5% to 36%. Media reports paid little attention to the actual report that highlighted that the 1991 Census was not conducted in Jammu and Kashmir and that after adjusting for it, growth rates for both Hindus and Muslims had declined. When the mistake was discovered, it was blamed on the then Registrar General and Census Commissioner, J.K. Banthia, a highly competent demographer. He was sent into bureaucratic exile while the news media moved on to a new story. Fourth, sometimes leaked results create speculation that is far worse than full disclosure would warrant. The Economist cherry-p-icked its comparisons. Nutritional status is measured by weight-for-age (underweight) and height-for-age (stunting). The final report showed that about 41.6% of children in Gujarat were stunted (had low height for their age), This is higher than the nationwide average of 38.7%. However, improvement in stunting in Gujarat between 2005-6 and 2013-14 was of similar and slightly higher magnitude as that for the nation as a whole: 10.1 versus 9.7 percentage points. Moreover, stunting decline in Gujarat was greater than that in Bihar, 10.1 percentage points as opposed to 6 percentage points. Usually statistics on underweight and stunting should provide a similar picture; when they do not, greater care is required in interpretation. This was not possible because only The Economist seemed to have access to the report and led the headlines. Fifth, statistics often deal with complicated reality and require thoughtful analysis instead of the bare bones reporting contained in typical government reports. The headline in Business Standard on February 3 based on the leaked PLFS report claims that more than half the population is out of labour force; however, the statistics they present show that the trend is dominated by women and the rural population. If the full report were available, I think it would be rural women who would drive the employment story. This is very much a continuation of the trend between 2004-5 and 2011-12 documented by the NSS, under a different government. Between 2004-5 and 2011-12, work participation rates for rural women of working ages (25-64) fell from 57% to 43%. However, much of this decline was in women working on family farms and in family businesses, from 42% to 27%; decline in wage work was much smaller, from 24% to 21%. If lower engagement of women with family-based activities such as farming, rearing livestock or engaging in petty businesses drives the decline in employment, we may need to look at declining farm sizes and increasing mechanisation as the drivers of this decline. One can blame the government for not creating more salaried jobs for women pushed out of farming and related activities, but it would be hard to blame it for eliminating jobs. If the full report and unit level data for the PLFS were available, it is possible that we will find a continuation of the trend that started in 2004-5. This is not to say that demonetisation may not have had a negative impact, particularly in urban India, where Business Standard reports that employment fell from 49.3% to 47.6%, but this is a much smaller decline. It is also important to note that the urban comparison between the NSS and the PLFS requires caution, particularly for unemployment figures. Whereas the NSS contains independent cross-sectional samples for each sub-round, the PLFS includes a panel component in urban areas where the same households are re-interviewed every quarter. Since it would be easier to find unemployed individuals than employed individuals for interview, attrition adjustment is necessary before drawing any conclusions. Without access to the full report, it is difficult to tell whether attrition adjustment was undertaken. So how do we get out of this vicious cycle where fear of misinterpretation leads to suppression of data, which in turn fuels speculation and suspicion and ultimately results in our inability to design and evaluate good policies? The only solution is to recognise that we need more openness about data coupled with deeper analysis, allowing us to draw informed and balanced conclusions. The onus for this squarely lies with the government. Simply placing basic reports in the public domain is not sufficient, particularly in a news cycle where many journalists are in a hurry to file their stories and cherry-pick results to create headlines. Understaffed and underfunded statistical services cannot possibly have sufficient domain expertise to undertake substantively informed analyses in all the areas for which statistical data are required. A better way of building a robust data infrastructure may be to ensure that each major data collection activity is augmented by an analytical component led by domain experts, recruited from diverse sources, including academia. Justice A.K. Sikri, a well-regarded judge of the Supreme Court of India, found himself in the eye of a storm arising from accepting a post offered by the government, last year, while being a judge of the court. By later turning down the offer after the controversy erupted, he substantially redeemed the judiciary’s and his own honour. However, this is an issue that recurs frequently. Even titans in the legal field have had to face stinging rebuke from respected members of the fraternity for similar lapses. For example, take the case of the late Justice M.C. Chagla. Both he and the former Attorney General of India, M.C. Setalvad, were members of the First Law Commission. Speaking as members of the Law Commission they had categorically denounced the proclivity of judges accepting post-retirement jobs sponsored by governments and called for an end to it. Unfortunately, in his post-retirement assignments, Justice Chagla violated the very same principle he had supported. After retirement, he accepted a government appointment to serve as Indian Ambassador to the U.S. (1958-61) and later as Indian High Commissioner to the U.K (1962- 1963). Soon after this he was asked to be minister for education in Nehru’s cabinet, which he again accepted. He served as Education Minister (1963-66) and then as Minister for External Affairs (1966-67). These harsh words are possibly unfair to a person of the calibre of Chagla. In none of the posts he held could he be accused of having acted as a sidekick to the government. On the other hand, by declaring in 1965 that the Aligarh Muslim University could not claim minority status conferred under Article 30(1) of the Constitution, he even earned the collective ire of his cabinet members. However, the shrill denunciations of the Law Commission on judges accepting post-retirement posts and Setalvad’s repeated calls to honour the principle merit acceptance even today. In a study, the Vidhi Centre for Legal Policy pointed out that as many as 70 out of 100 Supreme Court retired judges have taken up assignments in the National Human Rights Commission of India, National Consumer Disputes Redressal Commission, Armed Forces Tribunal, and the Law Commission of India, etc. In Rojer Mathew v. South Indian Bank Ltd. — which is currently going into the issue of tribunalisation of the judiciary and its challenges to the independence of the judiciary — senior counsel Arvind P. Datar, amicus, has observed: “The Tribunals should not be haven for retired persons and appointment process should not result in decisions being influenced if the Government itself is a litigant and appointment authority at the same time.” Mr. Datar has expressed the sentiments of many of us at the Bar. At the same time, it is also true that the valuable experience and insights that competent and honest judges acquire during their period of service cannot be wasted after retirement. Unlike abroad, a judge of the higher judiciary in India retires at a comparatively young age and is capable of many more years of productive work. However, government-sponsored post-retirement appointments will continue to raise a cloud of suspicion over the judgments the best judges delivered while in service. Though cliched, it is true that in law justice must not only be done but also be seen to be done. Therefore, the viable option is to expeditiously establish, through a properly enacted statute, a commission made up of a majority, if not exclusively, of retired judges to make appointments of competent retired judges to tribunals and judicial bodies. It is true that judges cannot legislate. However, where a void is found in the legal framework that requires immediate attention, and legislative intervention is not likely to emerge immediately, the Supreme Court is empowered to provide an interim solution till legislation is passed to address the hiatus. This process the top court has followed, to cite an instance (there are others), in the Vishaka case, where it laid down guidelines to deal with sexual harassment in workplaces till a law was passed by Parliament. It is desirable the Supreme Court invokes that methodology now and puts in place a process to regulate post-retirement appointments for judges. Such a process must sufficiently insulate the judiciary from the charge of being a recipient of government largesse. In these times, the attacks on the fabric of independence of the judiciary will not be through engulfing flames but through small corrosive doses. Therefore, it is in the judiciary’s own interests to resolve this issue as expeditiously as it can. The rather unusual move by a member of Thailand’s royal family to announce a bid for the office of Prime Minister has ignited greater interest in the country’s general election. Ubolratana Rajakanya, King Maha Vajiralongkorn’s sister, subsequently had her nomination withdrawn — but the fact that the prospect drew a public disapproval from the King is an indication of how closely the palace is tracking the contest. The larger question concerning the March 24 poll is the prospect of Thailand’s credible return to civilian rule, after the 2014 military coup that deposed the government of Yingluck Shinawatra. The military general-turned-Prime Minister, Prayuth Chan-ocha, is contesting as the candidate of the Palang Pracharat party, known for its pro-military and pro-palace leanings. The constitution drafted by his ruling National Council for Peace and Order, and ratified in a 2016 popular referendum, introduced a voting system that provides for a wholly nominated Upper House of Parliament and allotment of seats to army officers. King Vajiralongkorn had granted approval for its promulgation only after withholding some other controversial provisions. The March general election has been long overdue, as General Prayuth repeatedly deferred the dates since seizing power in 2014. Moreover, investigations into social media content from the new Future Forward party have added to worries about the junta silencing Opposition voices. While the bid to hand over power to an elected government may seem well-intended, the power given to the military in the legislature remains a concern. Ms. Ubolratana had entered the fray with the Thai Raksa Chart party, which is linked to exiled former Prime Ministers, the telecommunications tycoon Thaksin Shinawatra and his sister Yingluck. The Shinawatras are perceived to be a challenge to the Bangkok elite, including the palace and the military. But despite being evicted from power in coups, they still hold sway among the predominantly rural electorate. Till now, the military had struggled to dent their chances sufficiently, and Mr. Shinawatra or his proxies won every election since the early 2000s. The new constitution ensures that the military will be a crucial determinant in a democratic transition. King Vajiralongkorn’s public response to his sister’s decision to contest the election may also affect the chances of Mr. Shinawatra’s party. Ms. Ubolratana had relinquished her royal title in the 1970s, but her candidature sparked speculation about an understanding between the palace and Mr. Shinawatra. The March election is being watched keenly across the region. The second largest economy in Southeast Asia, Thailand this year assumes the presidency of ASEAN, that sets a broad economic and political agenda for member-states. A number of them are so-called guided democracies, with a pre-eminent role for the military. The Supreme Court’s order transferring the trial in the Muzaffarpur shelter home case from Bihar to a court in Delhi is a welcome intervention to ensure justice for the children who were sexually exploited. The Central Bureau of Investigation had argued that the trial would not be fair if it was held in Muzaffarpur. In shifting it to a court notified under the Protection of Children from Sexual Offences Act at Saket in Delhi, the apex court has once again demonstrated its lack of confidence in the Bihar government. It had transferred the investigation from the State police to the CBI. Later, it asked the agency to take over the probe in respect of 16 other shelter homes for children, destitute women and senior citizens. These interventions had become necessary, given the apparent apathy of the authorities in Bihar even after horrific instances of physical and sexual exploitation came to light last year. The Bihar government asked the Tata Institute of Social Sciences to audit the short-stay and shelter homes, run by non-governmental organisations but funded by the government. Last year, TISS came up with a damning report on the unsafe conditions in which children were staying in many shelter homes. The Muzaffarpur home was among the worst: many girls reported physical and sexual violence. More than 30 girls below 17 have been sexually assaulted. However, the subsequent response of the State government has not inspired much confidence. Apart from some officials being suspended, and some of those involved arrested, the State government did not have much to show as stringent action. Its response came under adverse scrutiny. A Bench of the Supreme Court found that 11 FIRs mentioned only minor offences, that is, “the least serious” of the offences involved. In the Muzaffarpur case, the court took note of the clout of Brajesh Thakur, whose NGO ran the shelter home concerned. The girls in the shelter identified Chandrasekhar Verma, the husband of former Social Welfare Minister Manju Verma, as a frequent visitor. The Verma couple later surrendered to the authorities. It is disquieting and significant that the court had to order Thakur’s transfer to a prison in Patiala to prevent him from exerting his influence on the authorities in Bihar. The court is also separately monitoring the functioning of child care homes in Bihar. Meanwhile, it is high time that States bestowed sufficient attention to such institutions. A recent Central government committee report highlighted the shocking inadequacies in the facilities available at most child care institutions and homes. There is a strong case for a systematic scrutiny to be taken up on an urgent basis to address the problem. The Narasimha Rao government’s decision is embodied in the Acquisition of Certain Area at Ayodhya Act, 1993. The area where the Babri Masjid once stood is just 0.313 acres. This Act was upheld, except for one unrelated subsection, by a Constitution Bench in 1994. The government, by the Act passed, also acquired the 67.703 acres owned by various Hindu entities, which surrounded the 0.313 acres, now called the “disputed” area. The undisputed area of 67.703 acres now largely belongs to the Ram Janmabhoomi Nyas Samiti, which is a party in the pending appeals in the Supreme Court. The Sunni Waqf Board is the opposite party. Its suit claiming title to the disputed land (and not to the Masjid) was dismissed by the Allahabad High Court on September 30, 2010. The court held that where the central dome of the Babri Masjid stood is indeed, according to faith, the birth place of Lord Rama and belongs to him, with the Ram Janmabhoomi Nyas Samiti as trustees. As for the undisputed 67.703 acres, the Constitution Bench in 1994 held that the Indian government, which had nationalised the land, was free to utilise it as it wished. But Rao told the court through his Solicitor General that his government would hand over the land to the Hindus if it was determined that there was a “pre-existing temple”. This was also the proposal made during Prime Minister Chandra Shekhar’s tenure when I, as Minister of Law and Justice, negotiated with Syed Shahabuddin, who was then Chairman of the Babri Masjid Action Committee. Shahabuddin also told me that if it was proved that there was a pre-existing Hindu temple, he himself would lead the demolition squad to the Babri Masjid. Had Chandra Shekhar’s government lasted longer, this is what would have happened since Rajiv Gandhi was also in favour of building a Ram temple. In 1994, the Supreme Court directed the Allahabad High Court to verify using scientific methods whether the Babri Masjid was constructed after a pre-existing temple. The High Court asked the Archaeological Survey of India to do this. Two archaeologists, B.B. Lal and K.K. Mohammed, in 2002 deployed scientific tools and concluded that there was indeed an extensive temple complex in ruins under the site where the Babri Masjid had stood. The court accepted this finding and relied on the same in its 2010 judgment. It is this judgment that the Sunni Waqf Board has appealed against in the Supreme Court. There is nothing to “unfetter” — there is no stay today against the government handing over 67.703 acres of land to the Ramjanmabhoomi Nyas Samiti. The 1994 judgment did not place any fetter. The fetter was “engineered” by the Atal Bihari Vajpayee government in 2002. The interim order of the Supreme Court of 2002 stayed the giving away of 67.703 acres. As Justice Ashok Bhushan noted in 2018, the interim order was superseded by a final order of the apex court stating that the stay was “operative until the disposal of the suits” in the Allahabad High Court. Hence it is no longer operative today. Two questions remain. One, why give to the Ram Janmabhoomi Nyas Samiti the 67.703 acres and why not to the other owners who were there prior to government nationalisation? This is because, except the Samiti, all the others accepted compensation from the government after nationalisation. Two, why did the BJP go back to the Supreme Court for getting land which is now unfettered? It did so after receiving bad bureaucratic advice to play safe. We have lost an opportunity again. Mr. Muralidharan has not only exhibited ignorance of these facts but has confused the issue with the irrelevant consideration of secularism. Only fundamental rights in the Constitution matter, not Western-borrowed concepts. The word secularism does not figure in any of the Articles of the Constitution. It was grafted during the Emergency in the Preamble, along with socialism. The two words are comatose today since nobody in the mainstream knows what they mean. A week after I exposed the sensational gutkha scam in Tamil Nadu in June 2017, a retired police officer called to say that he knew who “planted” the story. He was right. I did call and meet the person concerned, and wanted his reaction since he held a key post when the scam took shape. But the officer in question politely declined to comment and was just one among the dozens I had called or met for the story. But how would anybody know who I spoke to or met a day before writing the story? This was not all. Many people who called me to express shock at the scandal also showed a keen interest in knowing my source and the contents of the classified Income Tax documents, which had details of the beneficiaries. The gutkha scam story is perhaps the most challenging one I have done in my career. It had its origins in a secret note of the Income Tax department to the Tamil Nadu Chief Secretary. 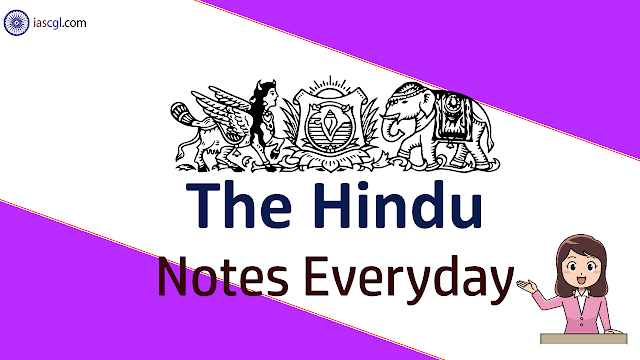 The note contained details of officials or politicians who allegedly took huge bribes from the manufacturer of the MDM brand of gutkha to facilitate the storage, transportation and sale of the banned substance in Chennai. Though a copy of the document was made available to The Hindu, the State government maintained that no such papers existed on record. I had to keep writing stories to expose the multi-crore scam despite constant monitoring by vested interests. With pressure mounting on the beneficiaries, and the Opposition parties demanding a probe by the Central Bureau of Investigation, I had strong reason to believe that my phone was being tapped. Senior police officers cautioned me that even calls over WhatsApp were not foolproof. It appeared to be me that the investigators were focussing more on the informer than the inputs. It had perhaps become a standard operating procedure to stalk the writer and his/her sources. I had a tough time writing the follow-up stories — while a couple of sources refused to meet me fearing surveillance and would occasionally pick up only Internet-enabled voice calls, a few others blocked my number. Some friends, including a few in the police, kept a safe distance. I quit Facebook, limited conversations to personal meetings, and used mobile phones as sparingly as possible. It felt like I was playing hide-and-seek when I would leave my phone in office and take the bus to the beach to meet someone. I would deliberately call a dozen people in order to conceal the source’s identity. It has been three years since I stepped into the police headquarters and the Commissionerate. My sources had no motive in passing on the papers except to bring out the truth. Sources are always the unsung heroes of every scoop. It is the duty of all journalists to thoroughly research the information they receive and go to print only when there is indisputable material evidence to corroborate it. The series of stories in the gutkha scam will go on till the logical conclusion. Fresh inputs and informers will emerge as the case develops. And the promise to protect the identity of sources will be kept always. T.E. Lawrence’s Seven Pillars of Wisdom is a great read but is it a credible record of the Arab uprising against the Ottomans? The Arab historian Aziz al-Azmeh was scathing in his denunciation of Lawrence, holding that his was a work of fiction. But that is not the way many others recalled it over the years. Except for those nursing an acute sense of victimhood, Shashi Tharoor’s engaging polemic, An Era of Darkness, is not a serious, objective work of historical scholarship. While the British rule of India had its rotten side, it had a redeeming one as well. As Prime Minister, Manmohan Singh had the courage to acknowledge this in his widely publicised July 2005 speech at Oxford University — all without one whit downplaying the harmful aspects of British rule. That is a balanced perspective. The best of our historians tie themselves in knots toeing a nationalistic line, however unintentional that might be. A widely acclaimed book, India’s Struggle for Independence, by Bipan Chandra and some of India’s best regarded historians, is a case in point. Partition is seen as the outcome of Muhammad Ali Jinnah’s intransigence and the Congress’s inability to carry the subcontinent’s Muslims along. The latter point is Bipan Chandra’s view too. But any historian claiming to be objective would also have highlighted Abul Kalam Azad’s objection to Partition on the grounds that it would reduce, intentionally perhaps, the Muslims from a politically powerful quarter of the population to a less significant and vulnerable minority in free India. Developments since then have proved him right. The mass killings and forced migration of millions caused by Partition was entirely foreseeable, especially in the light of the extreme violence that accompanied Jinnah’s ‘Direct Action Day,’ a year before. Then why couldn’t independence have been delayed to ensure a less cataclysmic separation? This is rarely discussed anywhere, and never in our schools, where most Indians have their last brush with history, reinforcing life-long prejudices. It is time we stopped raising generations on a diet of victimhood while at the same time hoping to make peace with those of our neighbours we feel most threatened by. With the evidence now available, we should accept that, far from being victims, we share historical responsibility for our difficult relations with Pakistan and our border dispute with China. As the largest country in the subcontinent, and its principal economic driver, India has a great stake in getting its history right, for lasting peace to follow. In his perceptive essay, ‘The Decline of Historical Thinking’ in a recent issue of the New Yorker, Eric Alterman observed, “A nation whose citizens have no knowledge of history is asking to be led by quacks, charlatans and jingos.” How true of today’s India!